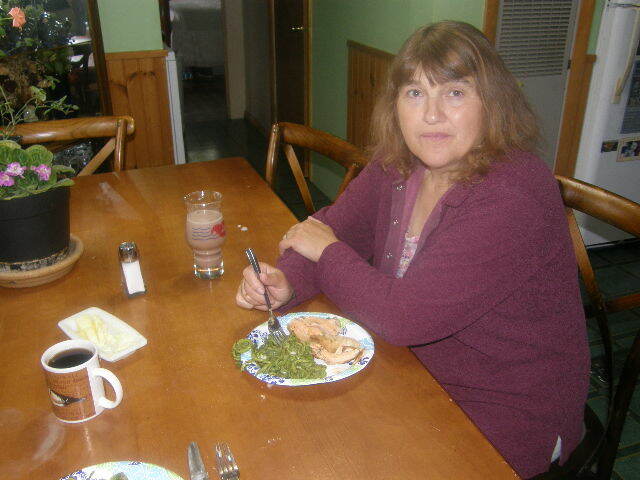 Those look really good Patrice, I will have to give them a try. That's what I'm looking for. Ok now we need something without eggs that can be made in a large batch . I love eggs, just not every day. great to a very moist and tasty meal. This was the recipe I prepared that you speak of. I even added things like heavy cream, cream cheese, some low sugar BBQ sauce- and steel cut oats instead of bread. 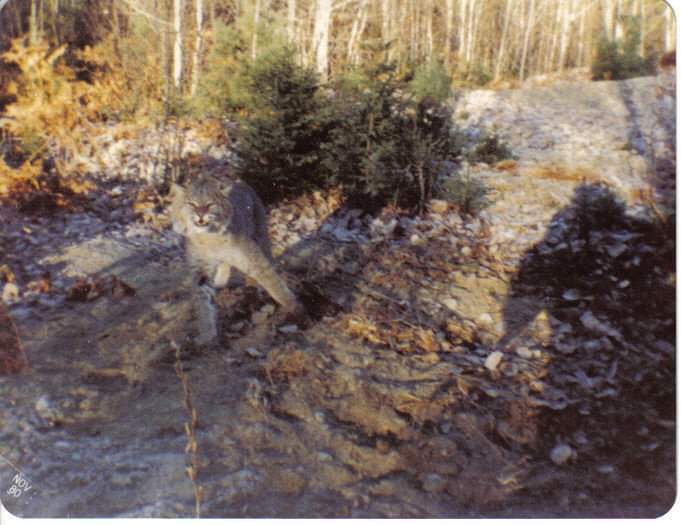 The oats can be left out. It turned out to be moist and tasty. I got rave reviews from the one I tried it on ! That made me the happiest country girl ever. Ill hunt down the recipe and post that. Thanks, Sharon! I need to try that one! Okay, here's what we had last night with a few good ideas for the low carb army out there. 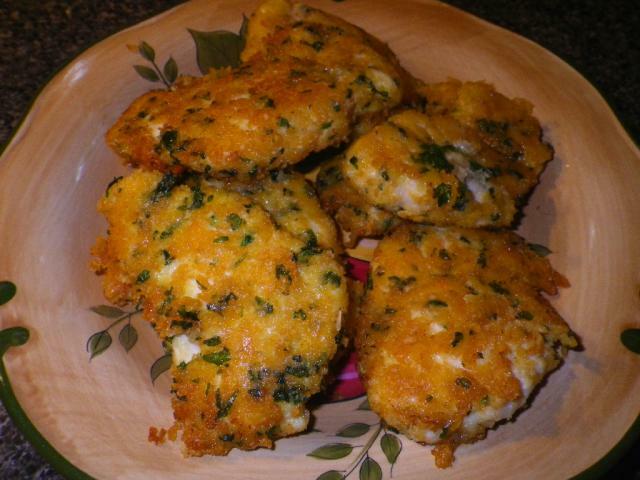 Last night, I made breaded chicken cutlets with basil, Parmesan and lemon. 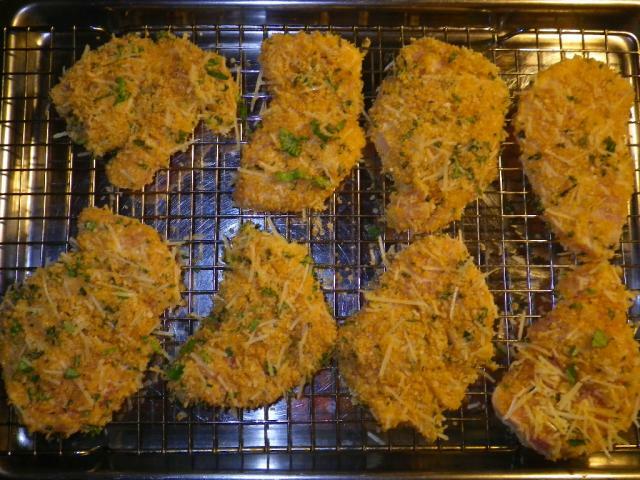 That was a simple breaded chicken recipe originally from my mom that I've made for years, but I have adapted it to a low carb recipe. I love these! I started with boneless chicken breasts and pounded them out to about 1/2 inch thick and sprinkled them with salt and pepper. Then I got my low carb breading set up. First, instead of the classic white flour (at 23 net grams carbs per 1/4 cup), I dredged the chicken in almond flour (3 net grams carbs per 1/4 cup). 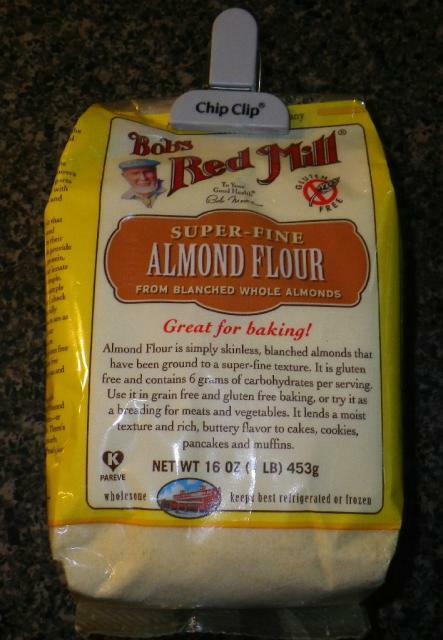 NOTE: I am reading about bad byproducts that result from heating almond flour, so I am looking into trying coconut flour instead because it is way better for you and also very low in carbs. I'll report back on that one but for now, I'll use the almond flour since very little almond flour actually ends up being used for coating here. 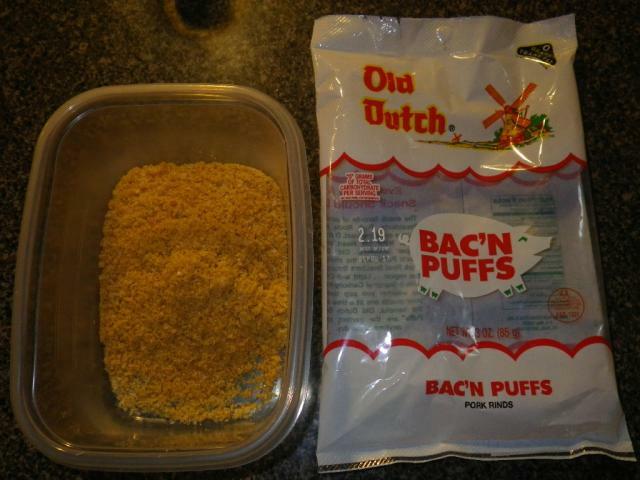 Instead of bread crumbs, I toss a bag of pork rinds (for 0 grams of carbs) in the food processor and grind it up into crumbs. I think Porkies are the best, but this was our grocery store brand which is okay. If you like the spicy breading, you can use other seasoned and spicy pork rinds. After dredging the chicken in the flour, I dipped it in an egg beaten with a little water to thin it out, and then onto the final coating. That was made of the ground pork rinds, Parmesan cheese and chopped fresh basil. I let my breaded, uncooked chicken sit on a wire rack in the fridge for about 1/2 hour. Then I fried the chicken cutlets gently in olive oil and butter until the coating was golden and the chicken was done. 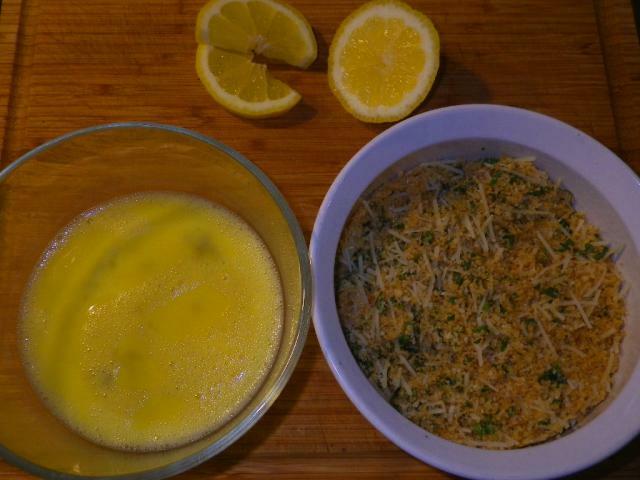 The last step is to squeeze fresh lemon juice all over it before serving! That really makes it great! I don't think you can overdo the amount of basil or lemon juice!!! Good stuff! It's nice to have something breaded and fried with almost no carbs. Hope you enjoyed this one! Thanks for copying those over from your other thread, Bruce! 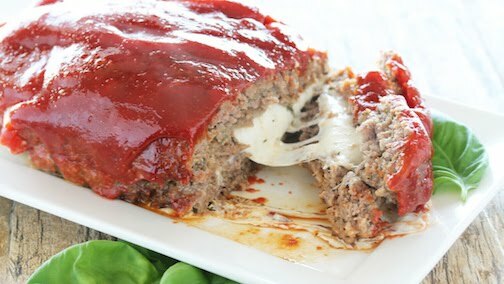 Great stuff for low carb meal ideas here. 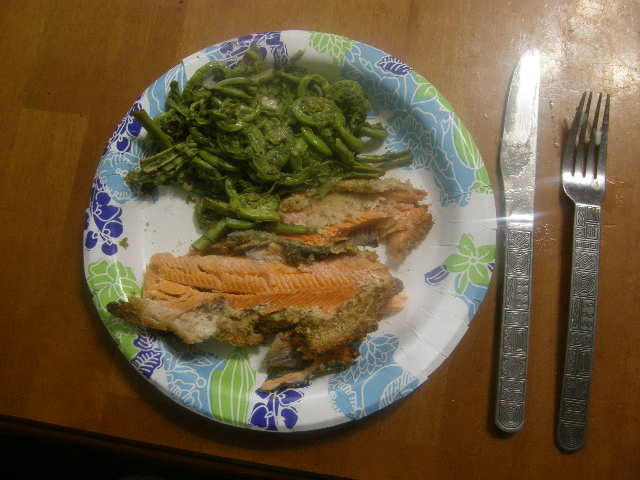 For those of you who didn't see the thread, Bruce and his wife had their fresh caught trout with fiddleheads! I just pulled some of the Cauli salad out of the freezer....its been there several days. Its fine...good texture- tastes great ! Sharon, that's good to know! I will also report back when I try to reproduce my German potato salad with cauliflower! I haven't seen Democrats this mad at Republicans since we ended slavery. That's hilarious, Buck. Not even having that debate here. I made some salmon this morning. 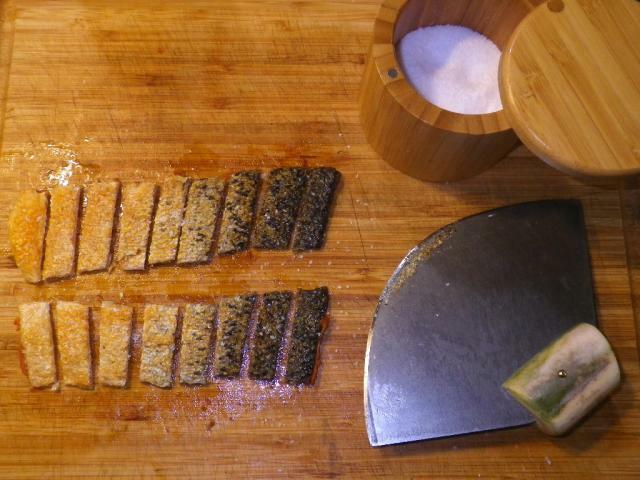 ... and made crispy fried salmon skin! 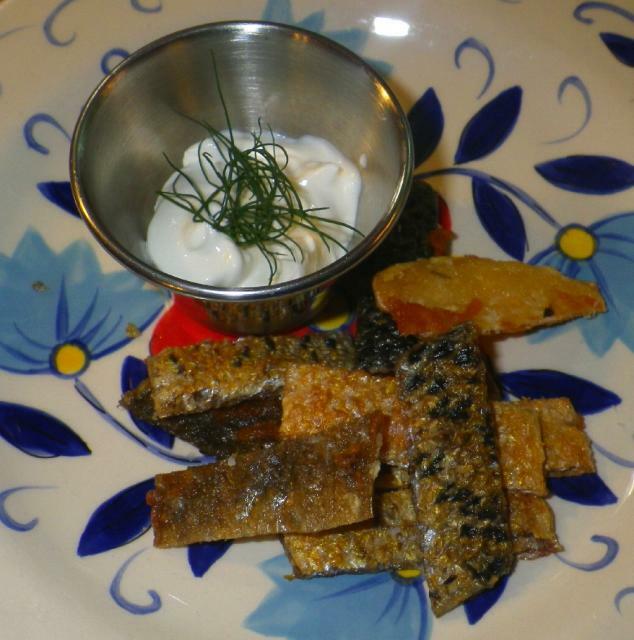 ... and served it with fresh dill and sour cream (sorry, Lufkin!). And then I threw away the salmon. NO!!!! Just kidding. 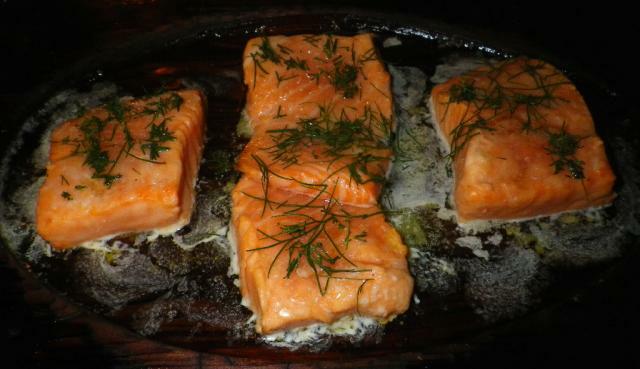 I baked the salmon on a cedar plank with a little olive oil, butter and dill. I agree with throwing the salmon away!! White, you actually like salmon skin but don't like the fillets? That's surprising! 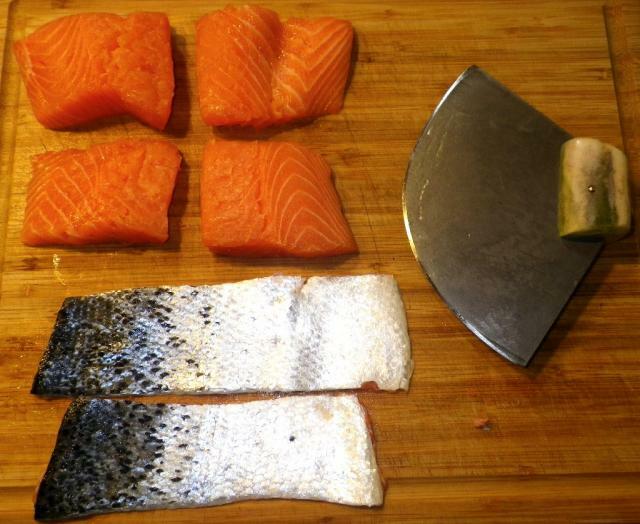 I'll bet a lot of salmon eaters don't like the skin. 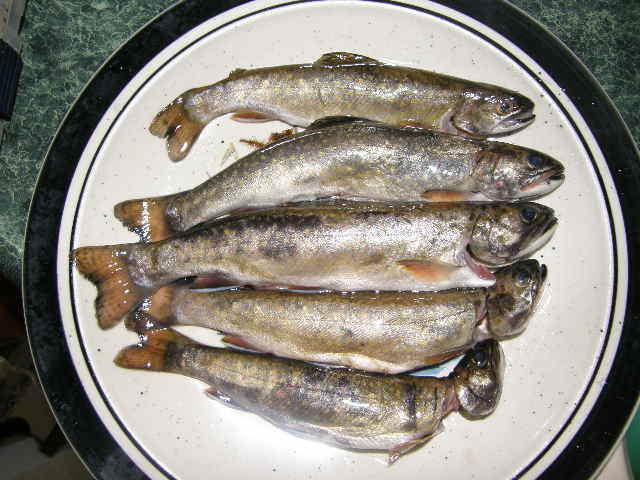 Do you like trout? I'm sure on the plank these skins were done as much as yours on the fire. I press them down hard to keep them from curling, just to make nice flat chips. I have allowed them to curl before and then cut the roll into little curls too. Besides Zim's first-of-the-year garden radishes and green onions, I did some low carb stuff with those crappies and the tartar sauce, so I thought I'd share that here. 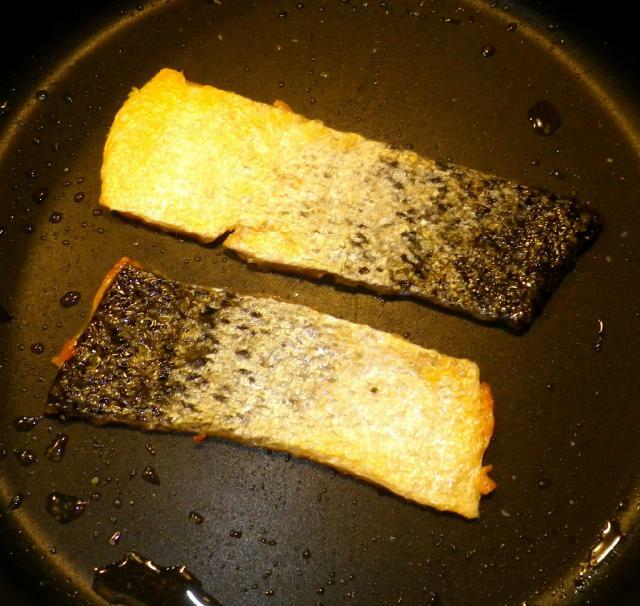 Those crappie fillets were dried with paper towel, dipped in almond flour, then egg, then in ground pork rinds with some seasonings and then pan fried in butter and oil. They were wonderful! My homemade tartar sauce is Hellman's mayonnaise with chopped dill pickles, chopped fresh dill and fresh lemon juice to taste. I love it. Every year, I make up a 32 oz container of it to take up to Canada to share with our buddies up there because they love it too! Thank you for your tarter sauce recipe-Ill have to try that too. Thank you, Sharon! It's really fresh tasting. I bet you'll like it! Oh I know Ill love that!